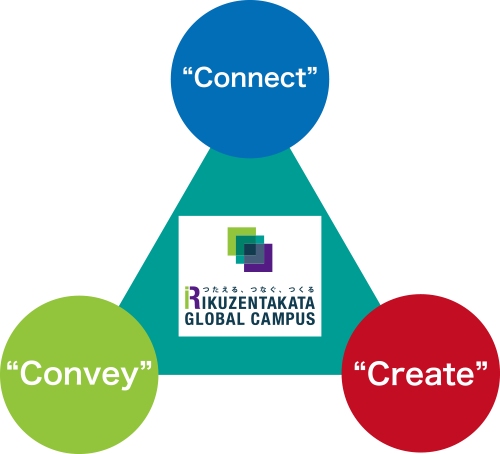 What is the Rikuzentakata Global Campus? Rikuzentakata Global Campus (RTGC) is jointly established by Iwate University and Rikkyo University as a public facility supported by the City of Rikuzentakata. This is considered to be a very unique initiative in Japan, comprising two academic institutions, one national and one private university. RTGC will be utilized as a hub flexibly used for exchange, study, and research among students and researchers of any university inside or outside Japan, as well as employees of the business sector and local governments. Visualize the Great East Japan Earthquake and tsunami, the unparalleled reconstruction and urban planning afterwards, and the lessons learned in order to convey messages to various entities. The messages they convrey are not limited to “post-disaster,” but also include rich tradition, history, and culture that the city possesses. 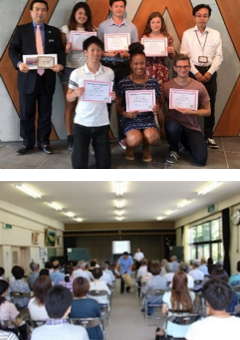 University students and researchers, citizens of Rikuzentakata, “citizens of the heart” (non-citizens who care about Rikuzentakata), and various other persons who come together to share wisdom and expand upon the future of the city as well as the future of Japan. Rikuzentakata Global Campus welcomes anyone who wishes to utilize the space. The Campus is available for the following purposes among others. Feel free to inquire (consult on the fees and charges separately). 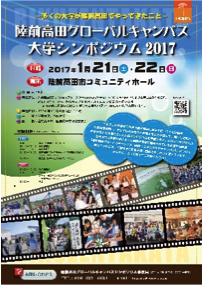 An annual event to provide a venue to bring citizens together with university members from all over Japan who have connections with Rikuzentakata. A rental lab space for graduate and undergraduate students and young researchers from universities throughout Japan and beyond. The lab can be used on a weekly or yearly basis for research work. 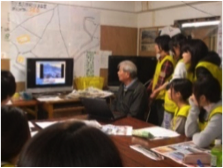 Cultural and practical courses mainly targeting Rikuzentakata citizens. 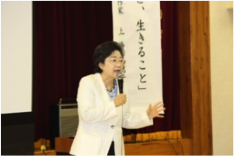 Courses are provided under different themes inviting university researchers, celebrities from various fields, and people who have a connection with Rikuzentakata based on the university’s knowledge network. As of 2017, Iwate University and Rikkyo University have developed the following programs (see below). They will be implemented publicly and invite participants from all over Japan and abroad. An international academic program where students from Japan and abroad jointly deepen their learning through conversation and exchange. They will have hands-on learning opportunities on the damage caused by disasters and the subsequent processes of reconstruction. An advanced practical program for disaster management based on the actual experience of the Great East Japan Earthquake and tsunami. Students will learn how shelters and residents’ safety are secured. A potential video project to pass citizens’ stories on to the rest of Japan and the world, and to future generations.